D House focus on POTUS = ‘insurance’ extension from MUELLER to House. GJ testimony underway in several states. Attempts to BLOCK/PROTECT themselves will FAIL. Law governing removal of a sitting Congress(m/w)/Senator? Dems doing all they can to prolong Mueller investigation to protect themselves. Grand Jury testimony underway against many of them in their respective states for crimes abv/beyond corruption/sedition. Many Congressmen/women & Senators will be removed once charged w/crimes. Brennan, Clapper, Panetta, Rice, Power, Morrell, played in pushing the Russia hoax, promoting the fake Steele dossier on POTUS, & if Brennan perjured himself. #RealClearPolitics link from #Q on how #DevinNunes plans to investigate ex-#Clown #Brennan re: involvement & perjured testimony re: #SteeleDossier.The #Dems are focused on continued Obstruction among which is an effort to continue the #RussiaCollusion #Narrative begun in an AntiTrump conspiracy to create redundancies to prevent the #MAGA agenda. Ex. The fight to protect the Mueller probe. ==> Article 1, Section 5, Clause 2. A 2/3 vote would be needed to remove. The #House & #Senate ethics committees oversee the removal process. In following this specific path a member may be removed & discharged from responsibilities.Note: #BrennanTestimony link. JohnBrennan is being investigated for perjury. Why is the Mueller investigation being extended to 2020? Dems in House think Mueller will protect them. “Insurance policy”. They think hisnongoing investigation into @potus protects them. 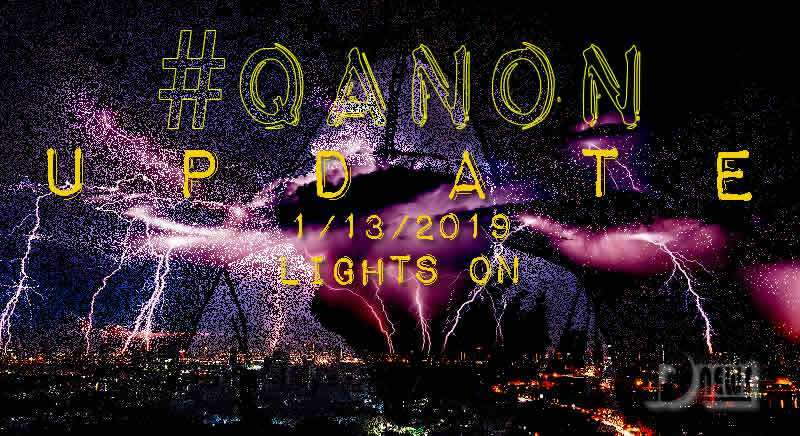 FISA brings down house.Grand jury testimony ongoing in several states. Who’s Grand Judy? Huber and the 450 attorneys and investigators working under him. Unprecedented. 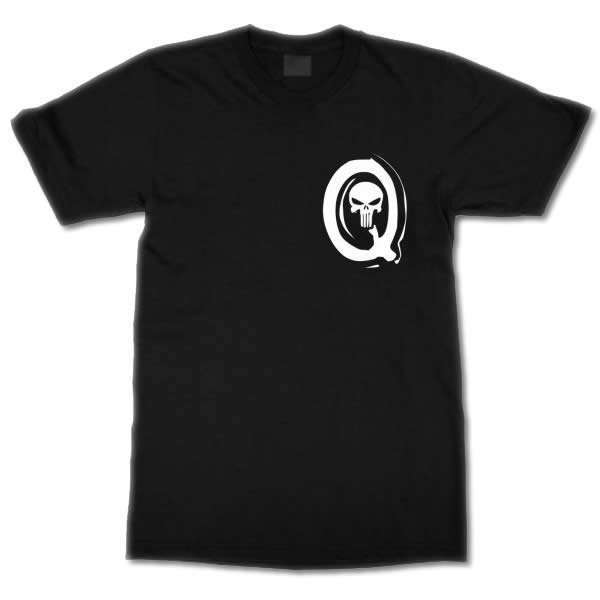 Look at prior Q posts. Huber has authority to file criminal indictments and charges in all states. Massive undertaking.House Dems are just trying to delay the inevitable. Mueller cannot protect them. Huber has grand juries empaneled on many of these congressmen right now.Expulsion from the house or senate is the normal manner in which congressional reps are removed. It takes a 2/3 vote of that body of members though and a resolution. 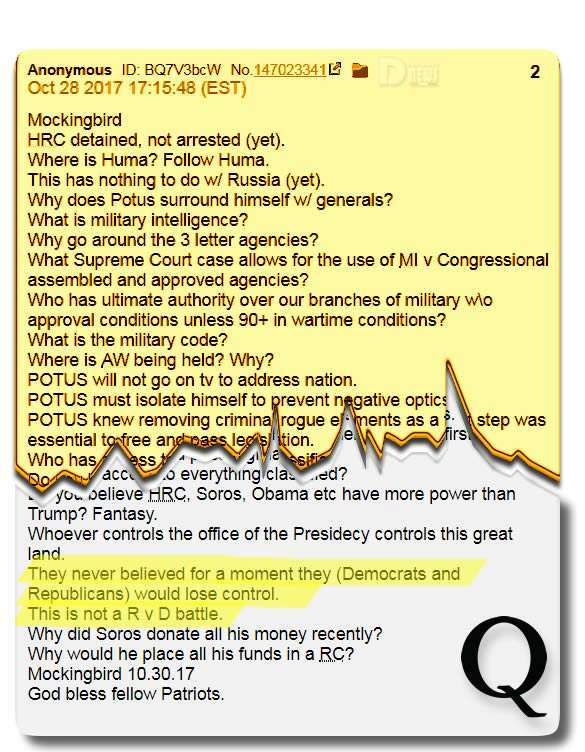 I can’t imagine the democrat house voting hey 2/3 vote to expel a sitting democrat so @potus has a strategy.This article posted by q from Paul sperry is from feb 2018. It outlined the facts surrounding all the corruption Brennan was involved in. A year has past and now we know Brennan has a grand jury looking at him. He is toast. If they have that kind of cash and engage in that blatant partisan activity, why am I forced to fund them with my money? FAKE NEWS control over those who do not think for themselves limits exposure of TRUTH. We taxpayers have been subsidizing the Globalists (both parties) for many decades via wars, charities, foreign aid, organizations like PP, etc. PP donates millions of the tax dollars they receive to Dems which means WE are helping to elect Dems. #PlannedParenthood & established #Corruption. It continues to be among issues that habitual users of #CorporateMedia are blinded to by [#USTaxpayer funded] #DARPA R&D research used to channel #OperationMockingbird #TalkingPoints which are nothing more than fabrications. Dems have not been able to get their own base to fund their campaigns so they launder money through planned parenthood to fund their campaigns. 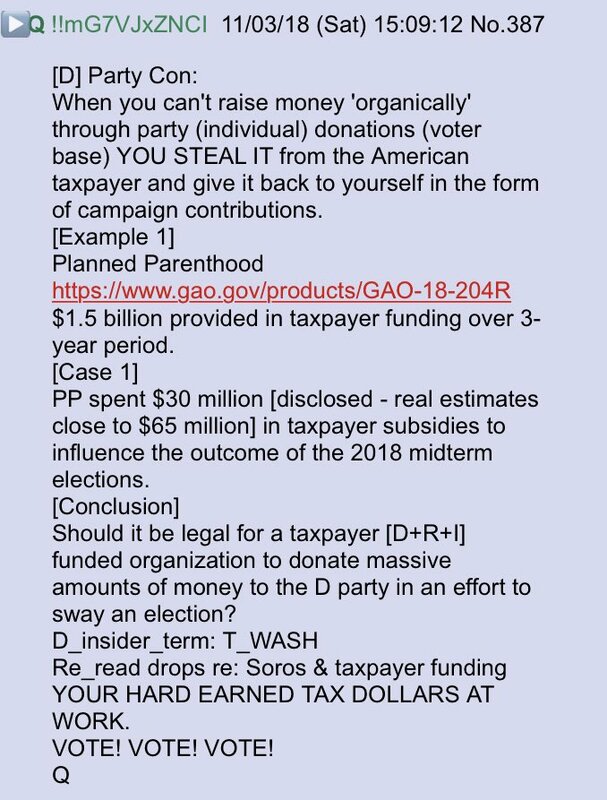 Q posts a link to @charliekirk11 tweet re PP spending $30 mil on donations to dem party after receiving $5 mil from tax payers.The dems have ensured that PP has received over 1.5 billion in taxes the last three years. Sick. Fake News covers for PP and the Dems. The wool is pulled over the eyes of “sheep” like the dem base who don’t think for themselves.